You are here: Home / Dinner Accomplished / Instant Pot Minestrone…Instastrone? If Instastrone isn’t a real word, it will be after you try this amazing dish! Minestrone is a wonderful Italian vegetable soup, thick and hearty. In restaurants it’s often served with pasta, but it’s not a necessity. We prefer ours with only yummy veggies! This recipe requires a bit of chopping, but then you just throw the ingredients in and wait for some delicious soup! But you’ll only have to wait for 4 minutes of cook time! That’s why it’s Instastrone! And it really is very delicious! Let’s talk BEANS: The whole cooking dried beans thing can seem like a worthless hassle when you could just open a couple of cans and dump them in, but I’m telling you…It’s worth it! Cooking your own beans can taste so much better, and you have control over everything that’s in them! Not to mention they are substantially cheaper than buying canned beans. And the Instant Pot is fabulous for cooking dried beans. For this recipe, I put on the pot of beans at 4:00 and they were ready to go into our soup at 5:00, with very little effort on my part. If you teach your 14 year old to do it, it’s even less effort! Sort and rinse 1 pound of dried beans. Cover well by at least one inch of water. Add 1 teaspoon of salt, 1 Tablespoon Olive Oil, and 2 bay leaves. Pressure cook on <High> Pressure for 35 minutes and Natural Release. 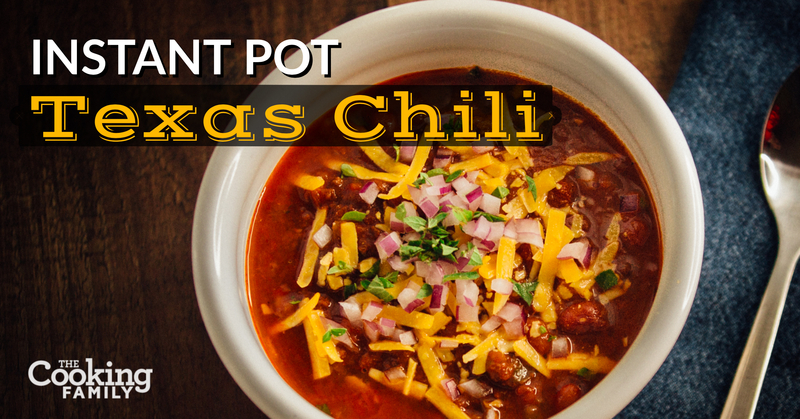 *Bonus Tip: You could also do 2 pounds in a 6 Quart Instant Pot and freeze the extras for next time! Turn Instant Pot On to <Sauté>. When it is hot, add 2 to 3 Tablespoons of olive oil. When oil begins to shimmer, add aromatic vegetables: onion, carrots, celery, bell pepper. Add salt, and sauté until veggies begin to sweat. Add garlic, basil, oregano, and optional fennel seed. Sauté for 1 minute. Carefully stir in remaining ingredients: cabbage, beans, tomatoes, and water or broth. When pressure cooking program is finished, allow to Natural Release for 5 to 10 minutes before releasing remaining pressure. Salt, pepper, and hot sauce are delicious additions at the table! *Remember, always supervise children in the kitchen. Even the smartest and most capable ones need reminders on kitchen safety! Try out this delicious italian soup, and let us know in the comments how it turns out! 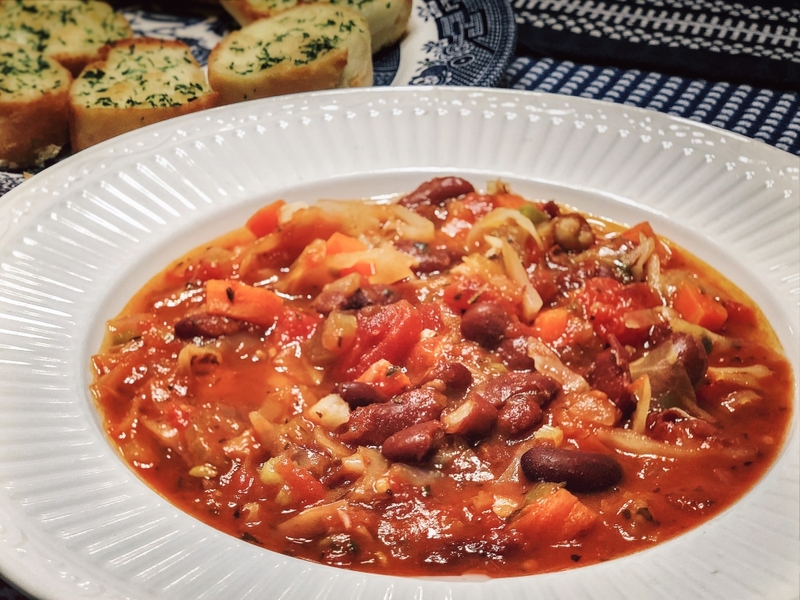 This Minestrone is an Italian Vegetable Soup that is fabulous to serve on a cold day and delicious enough to serve all year! Place lid on Instant Pot. Set valve to <Sealing>. Select <Bean/Chili> program. Set pressure cooking time to <4 Minutes> on <High> Pressure. Press <Start> or wait for your machine to beep and start cooking, depending on which model Instant Pot you use. When pressure cooking program is finished, allow to Natural Release for 5 to 10 minutes before manually releasing remaining pressure. If using dried beans, pre-cook in Instant Pot: Sort and rinse 1 pound of dried beans. Cover well by at least one inch of water. Add 1 teaspoon of salt, 1 tablespoon olive oil, and 2 bay leaves. Pressure cook on <High> pressure for 35 minutes and allow to naturally release. *Bonus Tip: You could also do 2 pounds in a 6 Quart Instant Pot and freeze the extras for next time! Tried this recipe?Mention @TheCookingFam or tag #TheCookingFam! Holly is a mother of 7 and oversees 189 meals per week! She loves to share her experience with others and see families enjoying meals together. Most delicious! I only used two cans of cannelloni beans. I also used 3 cups of homemade broth. Fantastic, thanks for the report Marianne! I love how versatile this recipe is. Just mix and match with what you have! Did you have a ham and potato recipe for a skillet? Can’t find it. Want to make it tomorrow. Do you do electric skillet recipes also? Made cabbage, apple, onion, sausage tonight. Maybe will use less butter. But we liked it. Notify me of follow-up comments via e-mail. Subscribe without commenting. 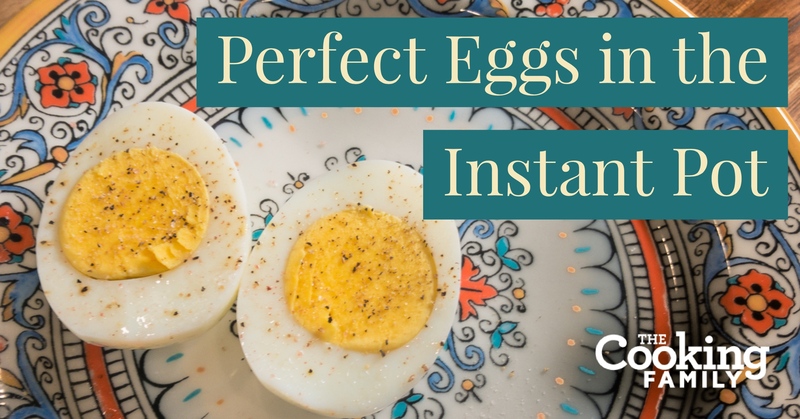 How Many Eggs Can You Make in the Instant Pot? Megan on How Many Eggs Can You Make in the Instant Pot? Tammy on How Many Eggs Can You Make in the Instant Pot? Amy on How Many Eggs Can You Make in the Instant Pot?